Sabri (centre) when meeting navy personnel during the marching ceremony yesterday. 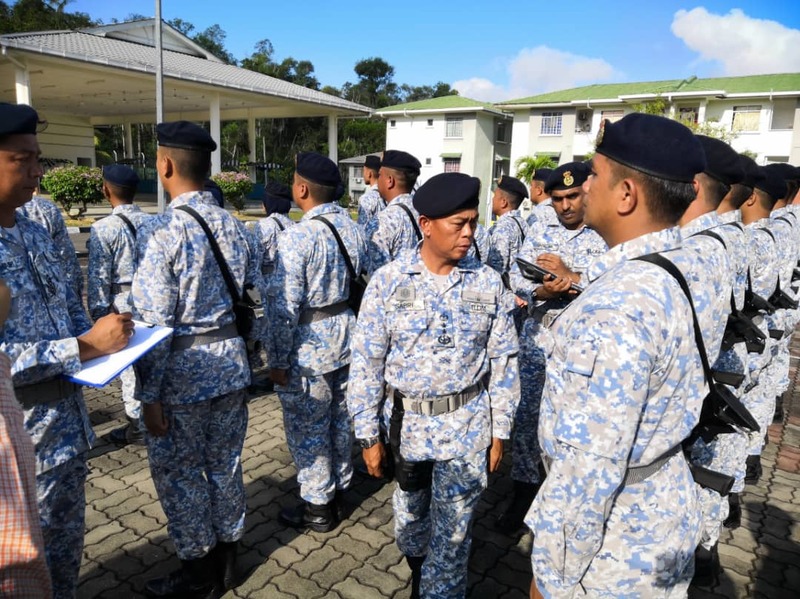 SANDAKAN: Eastern Sabah is safe and secured from kidnapping threats and the security is under control, said Royal Malaysian Navy Naval Region Two Commander Rear Admiral Datuk Sabri Zali. Responding to United States Travel Advisory 2019 issued by US Foreign Ministry on April 9, which included Eastern Sabah, Malaysia, among 35 countries with kidnapping risk, Sabri said that given the record of such incident here, he assured that Sabah is safe to be visited. “Eastern Sabah is safe, and we (security forces) will ensure that it stays that way,” he said. Sabri said that crimes, including kidnapping, happen all over the world, including New York city. “But for now, Sabah has no recent kidnapping incident recorded, especially when compared to the times around and in the year 2014; Sabah is safe,” he stressed. Sabri said that American tourists are still allowed to travel to Eastern Sabah, as the advisory was only a suggestion. On Monday (April 15), Malaysia’s Foreign Affairs Ministry had issued strongly protested that Eastern Sabah was listed under the US Travel Advisory 2019 list as Level 2 (exercise increased caution). “Wisma Putra has protested. Now we just wait for the result,” he added. Sabri said this during a press conference after the marching ceremony and inaugural message event that was held at mile 5 here, yesterday. Sabah safe from kidnapping threats – navy Borneo Post Online.